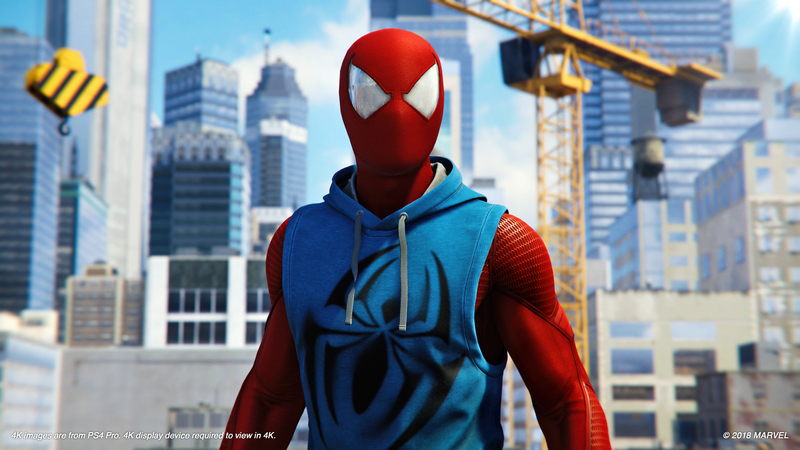 The Sony stable of exclusives officially grew by one, as Marvel’s Spider-Man is finally out in the wild. As is becoming tradition when a new Sony game comes out, fellow studios are offering their congratulations to Insomniac in the absolute cutest way. Santa Monica Studio started off with with a picture of Spidey hanging out with Kratos and Atreus from 2018’s God of War. Atreus looks enthralled as Peter shows him some of his adventures on a cellphone. Kratos naturally looks unimpressed with the web-slinger, maybe even a bit untrusting. Guerrilla Games, developers of Horizon Zero Dawn, followed up with their own piece of artwork. This one is a little more action-packed, with Aloy joining the three on an adventure. Let’s imagine for a moment how epic that would be. These little team-ups between the PlayStation stable of characters is quickly becoming a favorite for many gamers, showing a sense of camaraderie between fellow developers. The release of God of War had studios from all over the gaming sphere congratulating Santa Monica for their feat. This also may be the closest we get to a true PlayStation All-Stars Battle Royale sequel we ever get. We may never see Aloy and Spider-Man fighting against Kratos and Nathan Drake, but one can only hope.